We will guide you through construction defect claim and case process to ensure you get a fair settlement or award from the builder. Under Colorado’s real estate fraud and non-disclosure laws, the seller of real estate can be held responsible for defects that they knew about, but failed to disclose. More often than not, the winning party gets their attorney fees paid by the losing party based on the real estate contract. Johnson Law represents Colorado contractors to ensure they get paid for their work. Contact us to discuss mechanic’s liens, contract claims, or other ways to obtain the money you earned. Johnson Law represents policyholders in claims and cases against insurance companies. If an insurance company unreasonably delays or denies payment, new Colorado laws force the insurance company to pay three times the covered benefit plus attorney fees. As a construction law firm, our attorneys have experience in handling cases in all aspects of construction litigation & real estate litigation including construction defects, real estate non disclosure and fraud, construction insurance, contractor or construction lien claims, bond claims, contract disputes, breach of contract, personal injury, government construction contracts, and much more. We are located in Denver Colorado and represent clients from all over Colorado. Though many of our clients are from Denver metro, we have clients retain us from Boulder, Colorado Springs, Centennial, Thornton, Fort Collins, Erie, Englewood, Castle Rock, and the western slope because they know we are one of the best construction law firms who specialize in handling construction defect law cases. As practicing lawyers, honesty is the only policy and we strive to practice law with integrity. We ensure that all of our clients are treated with care and the utmost professionalism. We believe in communicating with transparency. Our attorneys will make sure you understand your construction litigation case. When you have questions, you will receive a call or email back from your lawyer. At Johnson Law, we use the latest and greatest technology and software to ensure that all legal work can be performed efficiently, while giving attention to details and ensuring all legal work is performed to the highest of standards. Our construction and real estate attorneys have the knowledge and experience to handle the complicated interpretations of construction and real estate law. We have a proven record of accomplishment for our clients, both in and out of court. Whether it’s resolving a legal dispute through arbitration, mediation or through court representation, we are there to ensure you get the representation you deserve. Please check out our testimonials or ask us for client referrals. Chad W. Johnson is the founding member of Johnson Law. He began his career representing the largest developers and builders in Colorado in construction defect cases. Now, in addition to representing Colorado contractors in all types of construction contract, payment, mechanic's lien, and insurance coverage matters, he represents homeowners throughout Colorado in construction defect and real estate nondisclosure cases. He received his undergraduate degree from University of Minnesota-Duluth, graduating with distinction, and his law degree from the University of Denver. In his final year of law school, Mr. Johnson was elected by his peers as the Most Outstanding Academic at the University of Denver’s College of Law. Mr. Johnson also proudly served in the Minnesota and Colorado Air National Guard from 2004 - 2011. Clients from all over Colorado hire the lawyers at Johnson Law for construction and construction defect cases, including the residents of cities such as Denver, Aurora, Brighton, Parker, Littleton, Highlands Ranch, Westminster, Northglenn, Commerce City, Boulder, Ft. Collins, Colorado Springs, Pueblo, Thornton, Arvada, Lakewood, Vail, Breckenridge, Dillon, Englewood, Centennial, as well as Arapahoe County, Boulder County, Douglas County, Jefferson County, Denver County, Larimer County, Weld County, and Colorado’s Western Slope. If you wish to learn more about how our law firm can help you, do not hesitate to contact Johnson Law. Our lawyers would be happy to schedule a free case evaluation to meet with you in person. Call us today at (303) 586-4829 or send us an email to hello@chadjohnsonlaw.com. On July 22, 2013, we met with Chad Johnson to discuss a situation whereby a contractor had substituted inferior quality windows for the windows specified in the contract. The contractor’s position was that the substituted windows were equal to those he had installed. Chad quickly confirmed our assertions. While we had come to an impasse in our communications with the building contractor, we discussed with Chad contacting the developer of the property, a person who we had a personal relationship with. Chad agreed that we should seek resolution with the developer before continuing on with legal steps. The developer quickly agreed with our position and the matter was resolved. In addition to the approximate one hour that we spend with Chad in his office, Chad reviewed the agreement that we had been presented with by the developer and made recommendations. Chad refused any payment for the services that we received from him and his office as the matter had been resolved expeditiously. We certainly would recommend Chad Johnson. Chad was very responsive to our needs. The fact that he drove from Denver to Greeley to review our problem first hand was amazing!. His knowledge is excellent and his ability to explain to us in terms that we can understand is a great attribute and most appreciated. He is excellent in always communicating with us and always instills a feeling of honest concern about our case while taking the time to explain all of our options and listening to any questions we may have. For anyone looking for a lawyer you would be well served to talk with Mr. Chad Johnson as his knowledge and great integrity well give comfort to you during what can be very intimidating circumstances. 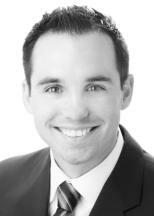 Chad has been extremely helpful in helping us resolve a potential lien issue to our property. His knowledge and advice on contractual law is amazing. We would highly recommend him to review your case and find the most cost effective resolution possible. THANKS CHAD!!! Chad Johnson was professional, informative and attentive with my case. He handled himself very well and throughout a long drawn out case I felt as if my case had his full attention, at all times. I would highly recommend Chad! During the duration of my case, Chad was steadfast about staying in touch and keeping me informed with the pertinent happenings. Always, ready and willing to explain the specifics of even the most complicated matter. I would certainly recommend Chad Johnson. I've (regrettably) been involved in some litigation during my career and, hence, have had the opportunity to work with a diversity of attorneys in different specialties, different locales, and different levels of experience. Without exception, Chad Johnson turned out to be the most competent, forthright, knowledgeable, and supportive throughout the litigation process -- even more impressive in light of his relative youth. Chad represented me as the Plaintiff in a construction-defect case that arrayed his talents against three other parties, each with their own attorneys. From the start, it was obvious that Chad's capabilities far exceeded that of our adversaries -- including Defendants, their attorneys, and insurance companies. Most critically, at every stage in the legal process (from initial filing to ultimate resolution), Chad always seemed two steps ahead of our adversaries. I am very thankful for his tremendous support and the positive outcome. My wife and I hired Chad to help us through a painfully complicated construction defect case that took nearly 2 years to settle, and we were incredibly impressed with him throughout. Not only did we ultimately reach a positive settlement, but he was unbelievably thorough, knowledgeable, flexible, available, and pleasant to work with all throughout. This was the first (and hopefully last) lawsuit that we have been apart of, and knowing that we could absolutely trust Chad and that he had our backs made all the difference. I can't say enough positive things about our experience. Our promise as your legal team is to build value into every case while delivering professional expertise, exceptional customer service, and quality legal representation.